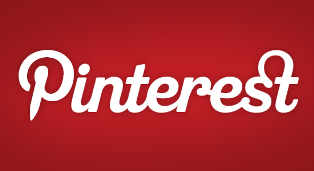 After Facebook, Twitter and other social networking sites, it is now Pinterest, which is gaining popularity. It is making businesses and SEOs sit up and take notice. The demographics of this site show that it has nearly 96% female subscribers. That leaves a paltry 4% males. But this is not something that should go against the males as females relate to similar things as males. Whether it is comics, cat pictures, memes or anything else, it is similar to Reddit. Follow the steps given below to go viral on Pinterest. Like other social networking sites, building followers is the first step towards marketing. Only then, you can post a product or site. Create humor pages, or pages related to advise, travel, and comics to generate traffic. Target a specific audience by creating pins that caters to their interest. Use Pinterest’s Bookmarklet to upload photos and other interesting things with just a click. When you have a good following, go to step 2. Before you create content, consider the type of audience that you would like to target. Remember that the females here outnumber the males. You can, either go the long painstaking way that will, anyway, not get you any results, or you can use the cheat method that will get you results in just one day. For the first option, upload photos in the hope that your followers will like it. Or, post a photo with the content written in very small font so that the user had to click to be able to read it. It is a cheat method but one that works very well. Users end up reading not only the small text by also browsing through your profile and spending considerable time there. This social site has an algorithm that determines what will and will not be popular. Therefore, keep the following things in mind when you submit content. Here are some Pinterest tips. If you are skilled at marketing, you will know what will go viral within 10 minutes of pinning it. Create a catchy title for what you submit. If it does not go viral in the first ten minutes, then you are wasting your time. For marketers, it is essential that their content is accepted even if it fails the first time. But Pinterest will block you from its homepage if you submit the same URL after the first rejection. Get around it by uploading your photo on Imgur and then submitting it to your choice of category on Pinterest. When it is pinned, Edit it and replace with the original URL. Too much of content will result in loss of traffic. Limit your submission to one-submit-per-category-per-hour. Use this social site to its maximum potential and with some shrewd marketing, you can sure that it will go viral. Like any other social media, also Pinterest is based on networking. Be sure to pin other users media. Go visit their site, and pin their pictures. Pay attention to this rule : 80% other users content, 20% yours. What’s your experience with Pinterest? Do you have a lot of engagement on your account? Please share your feedback in the comments below, thanks! thanks for being here commenting and reading. While some of the points mentioned by you are really good but it would be great if you could support them with examples. Also this figure that 96% of pinterest users are females, quite surprising. Excellent write mate. I have no luck … ever … on Pinterest! Until date, I’m still trying to build more followers and slowly, it is showing some good and positive effects. But yes, it takes time and your points, top notch! or above all for female users. There are few tips that I didn’t know before. Thanks for sharing. I’ve just launched a new site which I believe many people in the Pinterest community will like it. Will give Pinterest a try as I see the potential. Would you share with us the new site you launched?